Here is the truth behind the GWP brochure you received in the mail. Misleading. Blatant fear mongering. GWP has contracts with LADWP for emergency power that will keep the lights on. We never “barely avoided” a blackout. GWP wants to scare us so that we will let them build an oversized plant. The new plant was designed to be large enough to sell power to other utilities. Now California is suffering from a glut of gas power, due in large part to recent overbuilding of natural-gas plants. Many gas-powered plants are closing because there’s not enough demand. In an energy market with few buyers for gas-fired power outside Glendale, GWP is currently scrambling to justify the size of the Grayson expansion. False. 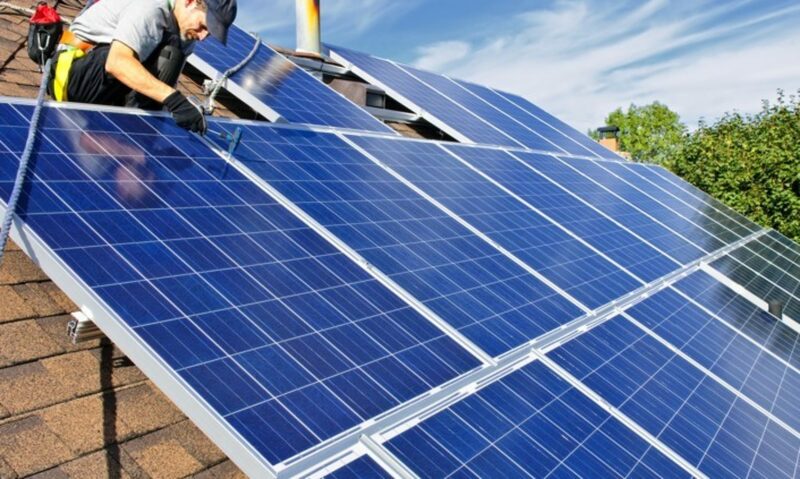 GWP has not reviewed the feasibility of rooftop solar (PV) with battery storage in Glendale. They are referring to a 2015 analysis by Skylar Properties LLC to “determine the feasibility of developing a utility-scale solar generation and energy storage facility.” Utility-scale storage takes hundreds of acres, so it was a given that Glendale would not be suitable for that sort of project. Skylar is now developing a 880-acre solar utility facility in Nevada, using a 20-year power purchase agreement with Glendale to finance the construction. GWP then asked its consultants, Stantec and Siemens, who are fossil-fuel experts, to explore solar and storage as an alternative to building a gas plant. No surprise that they said it wasn’t feasible. These same consultants, who stand to make millions off a gas plant, returned with a plan to sell gas turbine units and construction services to GWP. This is how GWP “explored” renewables—by asking a utility-scale solar developer if it could squeeze 880 acres into Glendale’s free space and relying on gas-oriented energy consultants. Deceptive. 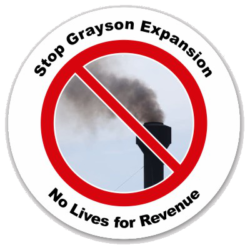 GWP is careful to use the words “permitted emissions.” This means the emissions allowed from the current units at Grayson are greater than the emissions that will be allowed from the units at the upgraded Grayson. This sounds good. But what they’re careful not to mention is that the repowering proposal would significantly increase operations at the plant. Grayson would be run day in and day out, rather than powered up only to meet occasional peak demand, as it is used now. This will increase emissions significantly. For instance, greenhouse gas emissions will increase by 415,000 tons per year according to table 4-37 in GWP’s own Environmental Impact Report. This is about 6.9 times more than the current GHG emissions level and will increase citywide emissions by 25%. SOx and NOx, which are responsible for various health impacts, will increase by 2.8 to 5.4 times from current levels. These health impacts include cancer, asthma, heart disease, and kidney disease, as well as dementia in older residents. Furthermore, numerous studies have shown these pollutants have significant impact on children living or going to school in the nearby area, causing lowered IQ scores, gross motor coordination damage, impaired cognitive function, impaired essential executive function, impaired inhibitory function, and other neurobehavioral disorders — effects that will last their entire lifetime. The mitigation measures GWP is promising — buying pollution “offsets” — will do little to help residents in the immediate vicinity of the plant, because offsets allow more pollution here in exchange for less pollution in other parts of Southern California.